Whether it’s a big birthday or a special celebration, sometimes you just want to gather friends and family and have a great time! The Comb offers a beautiful setting to stage an unforgettable party. Set amidst Northumberland National Park under the stars of some of the darkest skies in Europe, The Comb is exclusively yours for the weekend. This includes accommodation for up to 20 guests in our converted border farm plus use of 60 acres of grounds and our large barn complete with licensed bar and stage. Party barn complete with stage, licensed bar and capacity for up to 300. Beautifully renovated traditional stone border farm with capacity for 20+ in 10 bedrooms all en-suite. Licensed bar, dining room, terrace, courtyard and dark skies balcony for sunset drinks and starlit suppers. 60 acres of glorious grounds with mature woods, fields for games, views in every direction plus a clay pigeon shoot. You have exclusive use of The Comb and the dark skies barn for your weekend party. We run the bar and quietly take away the hassle but you are the host, the mini-estate is at your disposal. Sundown drinks followed by torchlit supper on our balcony with views over the hills and forest under the vast starlit skies. 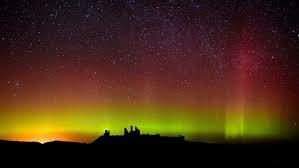 A fascinating telescope tour of the cosmos with the staff from Kielder Observatory as your guide. Hearty breakfast to prepare for an active day. Clay pigeon shooting, golf, mountain biking or a circuit of them all interspersed with a cozy lunch and ales by the fire in the Hollybush Inn. Alternatively for those with an appetite for a challenge, take on the Reivers Raid and become a Border Reiver for the day. Test teams of friends as they navigate the hills, moors and valleys raiding rival clans to see who can claim a place in the Reiver’s rogues gallery. Cocktails and kick-off drinks on the bar terrace. Hog roast or barbeque and then the main event. Rock band, country hoedown, reeling or ceilidh, you choose the flavour our dark sky barn oozes the ambience. Fire pits beneath the stars offer the perfect breakout and our neighbours are mostly deer, owls and foxes so no silly annoyingly early curfews. A chilled day with a slow breakfast. Gentle petanque competition, tea by the log-burning stove before a leisurely lunch and a chance for a catch-up. Walks or bike rides among the lovely country for those who still have the energy. The Comb sits at the top of the Tarset valley surrounded by Northumberland National Park, forest, hills and border burns. Despite this idyllic location it is only around 45 minutes drive from Newcastle airport and less than an hour from Newcastle train station. Edinburgh city centre is under 2 hours drive and Glasgow less than 3. Kings Cross station in London is within 4 hours and Heathrow around 2 and half hours making use of planes, trains and automobiles.